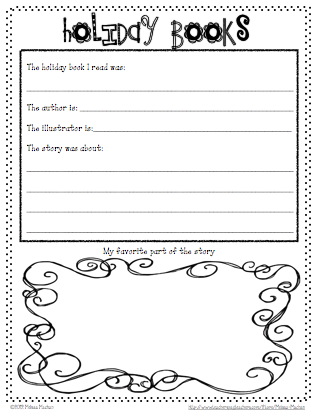 So I decided since I love my read aloud time in my classroom I would make a big deal about it with Christmas around the corner. 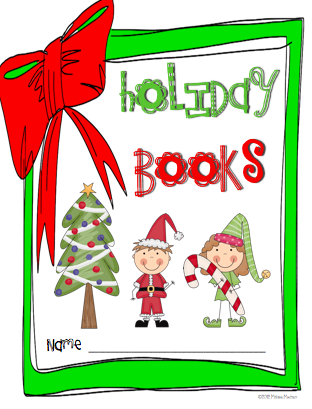 I have chosen 12 (actually more) holiday themed picture books to read aloud to my class. My plan is to read at least one a day and post about it. I also plan on providing links to blog posts or products you can use to go with each book. Hopefully you will find some good ideas and some new books to read to your class. So for DAY 1 I read to my students the adorable book Merry Christmas Splat! by Rob Scotton. 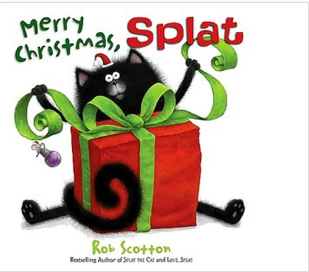 Splat tries really hard to be sure he is good enough for Santa to bring him a BIG present for Christmas. At the end he does get a big present, but it never shows you what it is. This is a great opportunity to have students make a prediction about what that present could be. I found a great freebie at Live Love Laugh Kindergarten that does just that. 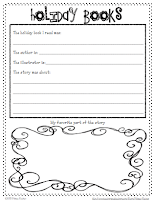 Head on over to her adorable blog and check out this freebie and the rest of her blog. I hope you like Splat! So happy to find your 12 Days of Christmas Literature post! Thanks so much for the freebie. I am just finishing up the Gingerbread Unit this week with my firsties. Stop by and take a peek at all the different versions we read!